In the world of adulting, having the ability to PTFO whenever, wherever is the ultimate humble brag. (Personally, I’d give a kidney to be able to nap on command.) But the sleep doctors have spoken, and they’ve declared that those with the superhuman ability to fall asleep under any circumstance aren’t necessarily at an advantage. In fact, it might be a sign of sleep deprivation. From the moment you blink open your eyes, your brain begins to produce the sleep chemical adenosine. Spending time in bed diminishes levels of the yawn-inducing chemical. Unless—of course—you skimp on your prescribed amount of sleep. Then, your levels rise and rise until you’ve created a sleep load. The problem is, it’s not always easy to know if you’re suffering from sleep deprivation. Like stress, fatigue can sometimes hide in plain sight. The Epworth Sleepiness Scale, a questionnaire designed to determine why you’re TATT (tired all the time), ranks the likelihood that certain activities (e.g., reading before bed or watching tv) will whisk you off to dreamland. It can help you to assess just how desperately your body needs to clean out its adenosine stores. Once you’ve quizzed yourself, you can take appropriate actions to begin paying off your credit to Mr. Sandman. 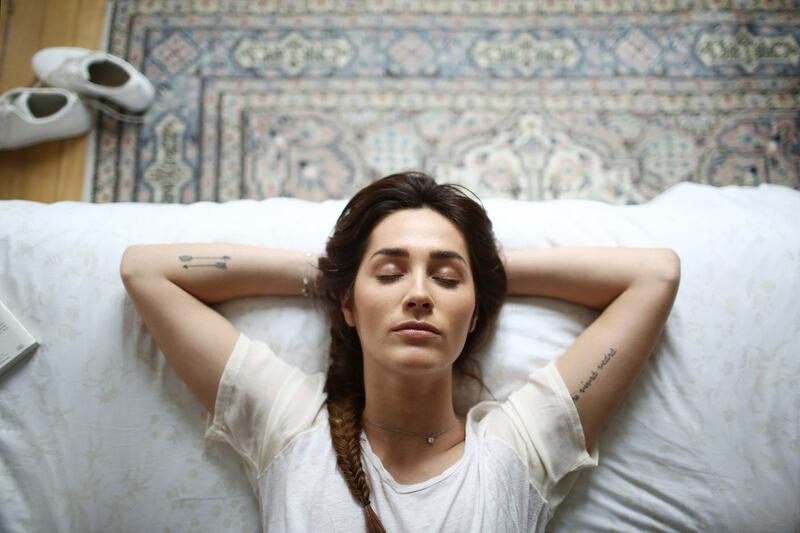 We surveyed nearly 1,500 Well+Good readers on sleep—here’s what we learned. Plus, what your sleep position means about your personality.